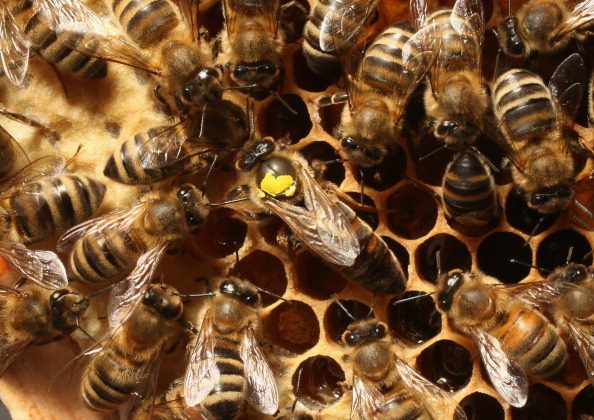 A chemical pesticide that is killing the world’s bees was found in 75 percent of the honey from six continents. The frequency of contamination was the highest in North America at 86 percent. A study published by Science, tested honey from around the world. Neonicotinoids were found to be extremely prevalent. Neonicotinoids are believed to be the reason why bee populations are declining. Bees are responsible for pollinating plants that grow food humans eat. Their existence is vital for the growth of produce, and the production of honey. That is why the issue is extremely important to food production and the world economy. Neonicotinoids were introduced in the 1990’s. They are a group of pesticides based on the chemical structure of nicotine. They attack the nervous system of insect pests to protect crops, but non-harmful and beneficial insects like bees, wasps, butterflies, and other pollinators have been affected, ZME Science reported. Crop growers use the chemicals because they were considered safer than previous pesticides. The effect on the bee population was not foreseen when neonicotinoids were chosen as the preferred method. Neonicotinoids were originally seen as advantageous over other methods because of their low environmental footprint, Forbes reported. But to bees neonicotinoids are devastating. Neonicotinoids are transmitted through the plant to insects like bees. The bee can pick the substance up through pollen collection. Then it brings the substance back home, and the entire colony is affected. Even low concentrations of neonicotinoid can hurt bees by causing growth disorders, neurological and cognitive disorders, and impact the efficiency of the immune system, among other harms. The chemicals found in honey are up to 10,000 times more potent than DDT, which was banned for agricultural uses in 2001, ZME Science indicates. Of the 198 honey samples tested, 30 percent contained one neonicotinoid, 45 percent contained two or more, and 10 percent contained four or five variations of the substance. ZME Science reports that as much as 60 percent of bee species populations are lost annually. They are responsible for pollinating one-third of the plants that are consumed by humans and for the hundreds of billions of dollars that the food is worth. Not just humans, but other animals depend on the plants that bees pollinate, so a loss of bees impacts entire ecosystems. Neonicotinoids are still considered safe for humans in the levels detected in honey. Some think that further study may reveal if there are other effects not yet discovered, Inverse reported.